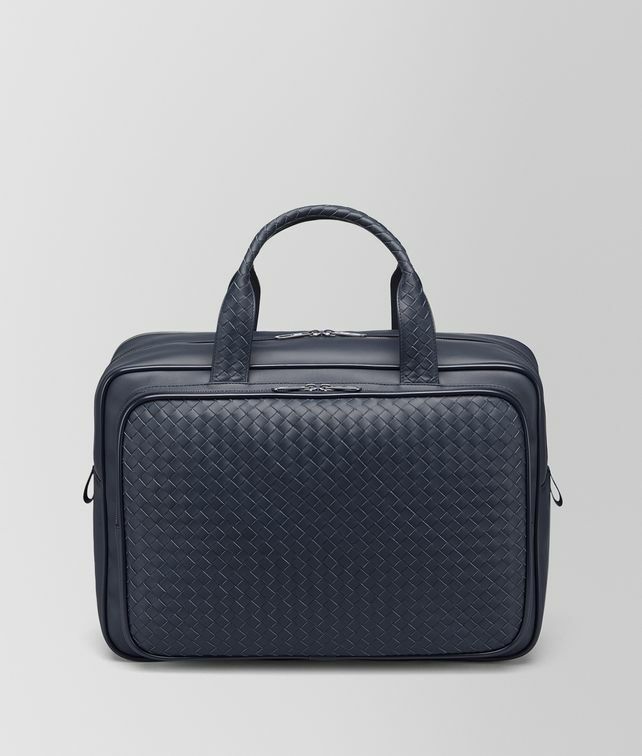 This rectangular travel bag is elegantly constructed from intrecciato VN calf leather, making it exceptionally resistant to wear and tear. Designed to be slipped on luggage handles or carried by hand, this functional carry-on luggage features two compartments secured with double zippers and lock closures. Fitted with a padded section to safely transport high-tech devices. The main cotton-lined compartment has a flat pocket for added organization. Height: 35.6 cm | 14"